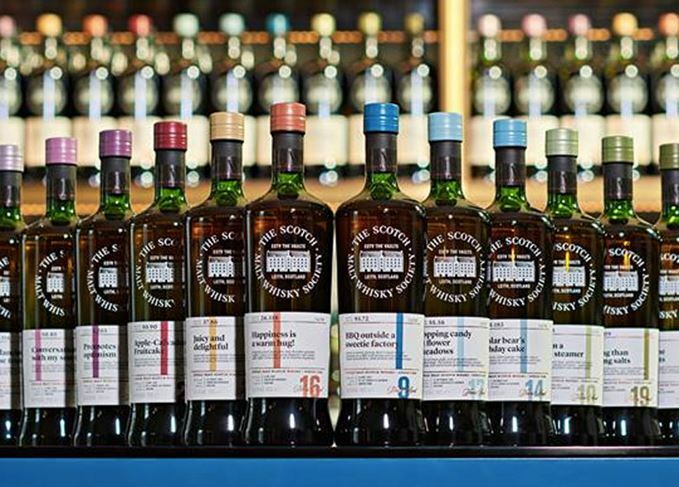 The Scotch Malt Whisky Society (SMWS) has introduced a new look for its bottlings, complete with prominent age statements and a colour code to signify flavour camps. 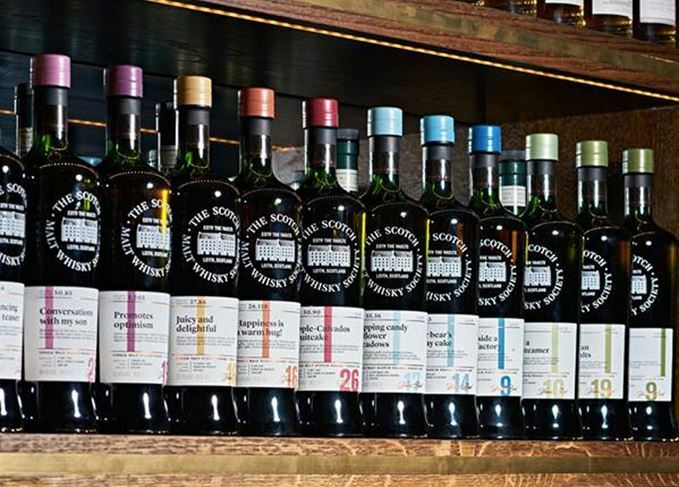 The makeover – the first for SMWS in almost 10 years – has been introduced for all new expressions released by the society as it prepares to celebrate its 35th anniversary. One of the biggest changes to the bottles is the inclusion of a prominently printed age statement on every bottle, designed to ‘make sure the age is and always will be up front’. SMWS said members should expect ‘unfamiliar’ ages as the whisky is bottled when it’s ready, ‘not according to when time dictates it’s ready’. Another significant update is the introduction of 12 different colour codes on the caps, on the label and in the age statement, each one corresponding to one of the society’s flavour camps. The change is designed to make choosing whisky easier for the consumer, with camps ranging from Young & Sprightly to Old & Dignified and on to Heavily Peated. The society said that ‘by defining whisky more by aromas than by region, we want to make it easier to focus on the flavours’, although the whisky’s region will also be mentioned on the label as a ‘useful signpost’ for new drinkers. The SMWS’ signature method of establishing the distillery and cask number of origin with a series of decimal numbers will now be less prominent, giving way to the quirky name of the bottlings instead. All bottlings by the society will continue to be presented at cask strength. Only members of the Scotch Malt Whisky Society are now able to purchase bottlings. France relaunch is society’s bridgehead to expand its activities across continental Europe. Choice of 30 old and rare whiskies are first non-Society bottlings offered at Edinburgh bar. Answering these questions should scientifically match you with your perfect whisky style. Three whiskies heralding from the same cask have been finished in different woods.